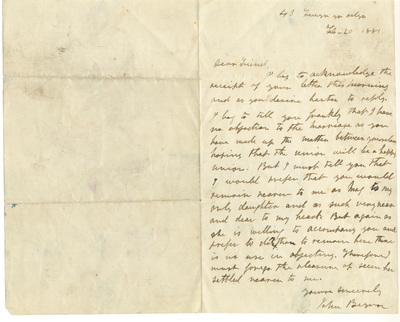 Below is a letter from John Beynon to Benjamin Lewis Nicholas agreeing to his request to marry his daughter Margaret Beynon and move to America. I beg to acknowledge the receipt of your letter this morning and as you desire hasten to reply. I beg to tell you frankly that I have no objection to the marriage as you have made up the matter between yourselves hoping that the union will be a happy union. 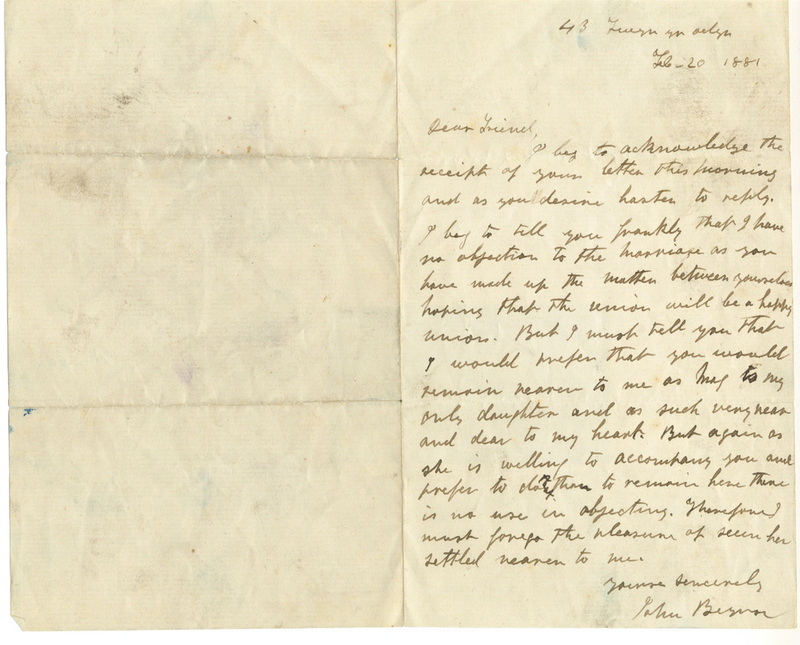 But I must tell you that I would prefer that you would remain nearer to me as Meg is my only daughter and as such very near and dear to my heart. But again as she is willing to accompany you and prefers to do that than to remain here there is no use in objecting. Therefore I must forego the pleasure of seeing her settled nearer to me.